Based on traditional recipes from Périgord, this gateau de noix or French nut cake is made lighter than the original with flour and baking powder in addition to beaten egg whites. 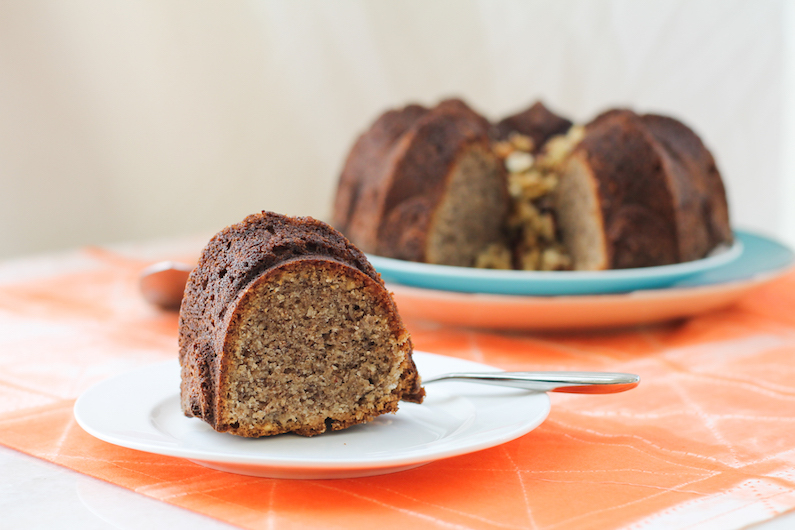 It is still dense and rich with a wonderful buttery nutty flavor. This month my Bundt Bakers and I are celebrating a milestone: five years of baking Bundts together! 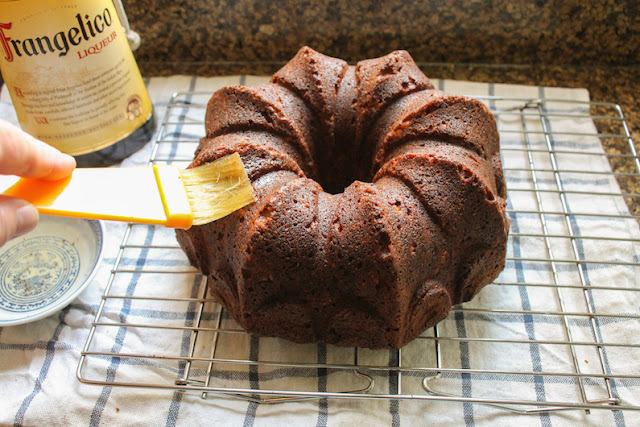 Our members live all over the world but we get together virtually on the third Thursday of each month, sharing treats both sweet and savory which have been baked in Bundt pans. We take turns hosting as well as choosing the theme of each month’s online event. 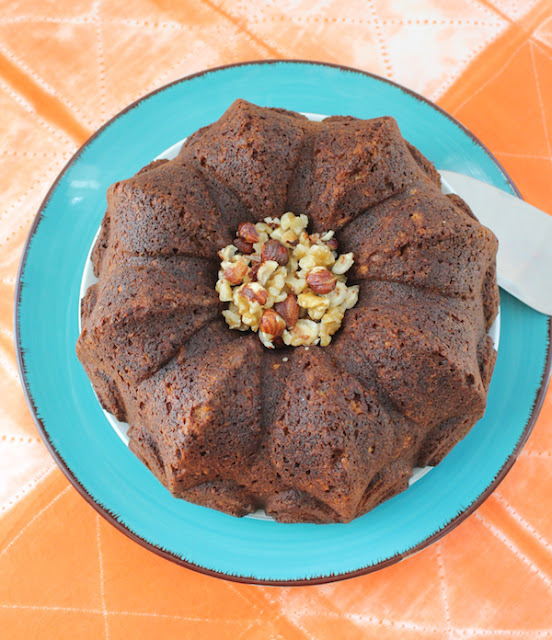 It was my pleasure to host the inaugural Bundt Bakers event in January 2014, choosing “nuts” as our must-use ingredient so it only seemed fitting to reprise that theme for the fifth anniversary. After all, we are not only nuts about this small band of Bundt loving friends, we are also nuts about Bundt baking itself. 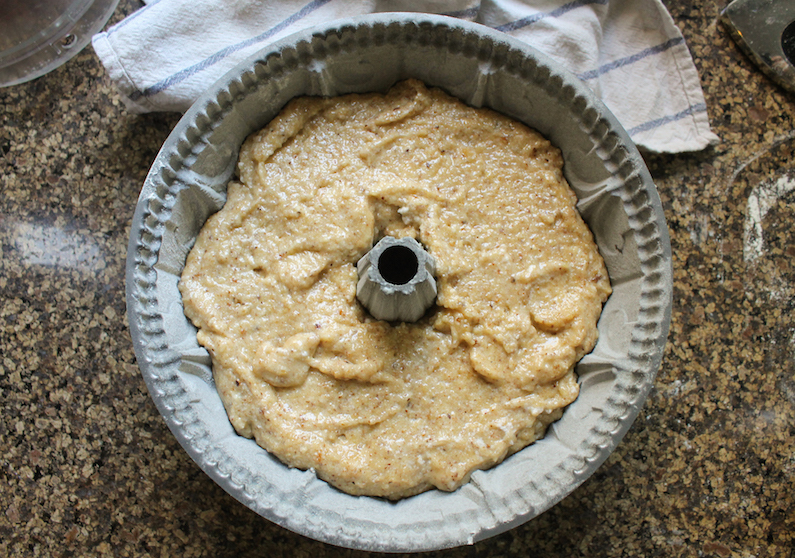 This simple French-inspired gateau de noix or nut cake could not be easier. 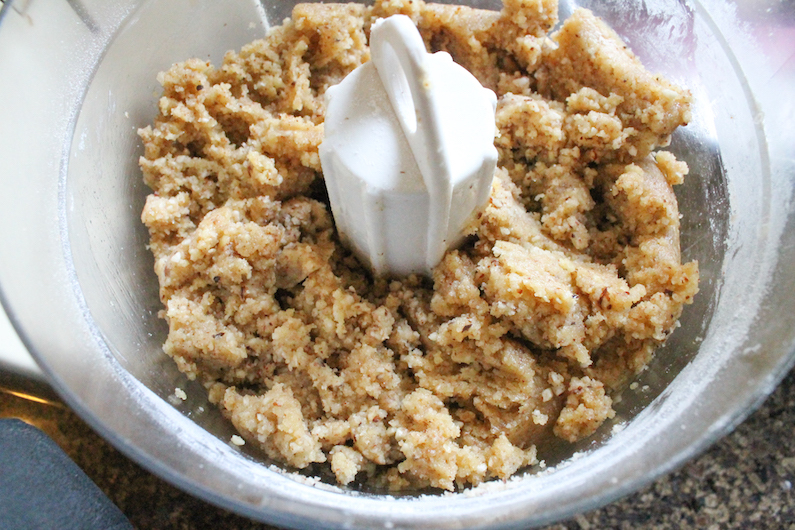 The batter is made almost completely in a food processor, aside from the egg whites, which are beaten then folded in. It is mix, fold and bake; easy but oh, so rich! Since this is a French inspired recipe, it seemed only fitting to bake it in my Nordic Ware, Fleur de Lis 10-cup Bundt pan. 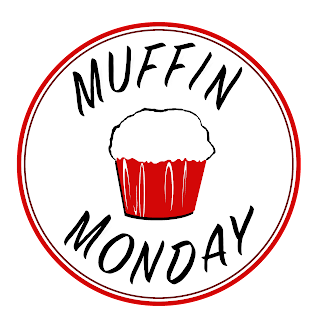 Preheat your oven to 350°F or 180°C and prepare your 10-cup Bundt pan by buttering and flouring it. 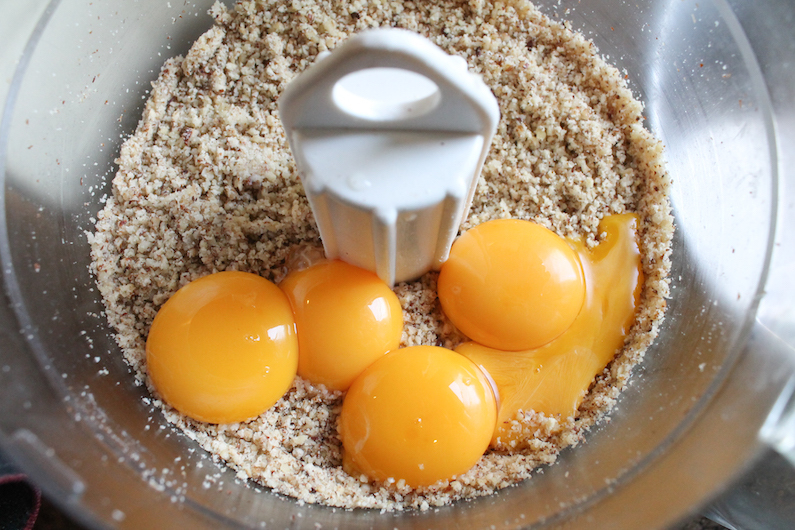 Pulse the nuts in the bowl of your food processor to make a fine powder. There may be some small pieces left and that is okay. Be careful just to pulse in short bursts and give the processor a shake in between. We don’t want to end up with nut butter! Separate your egg whites from the yolks, adding the whites to a clean, grease-free mixing bowl and the yolks to the food processor. 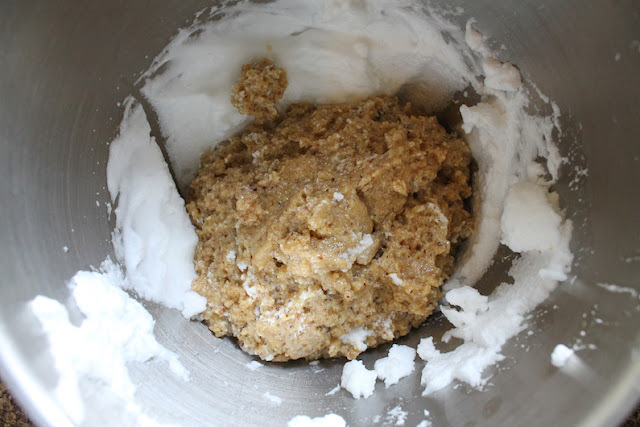 Add in the sugar, butter, flour, baking powder and salt. 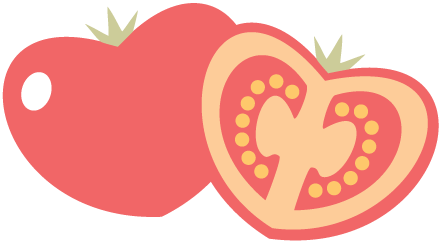 Pulse to combine. Scrape down the sides of the processor with a rubber spatula. This makes a thick dough. Whisk the egg whites with a pinch of cream of tartar until they form stiff peaks. 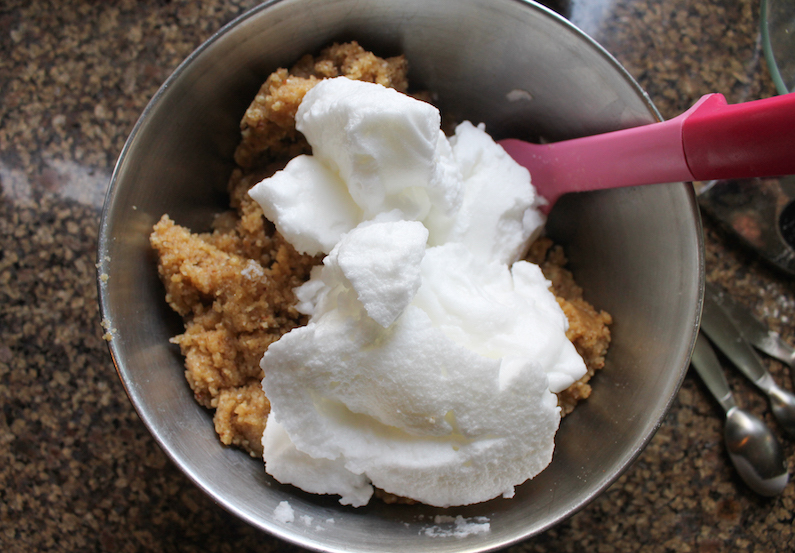 Spoon the thick dough into a large mixing bowl. Gently fold about 1/4 of the egg whites into the batter. The dough is soft but a bit dry so this first batch is a challenge. Just keep folding slowly, coming up from the sides and bottom of the bowl with your spatula to gently turn it over the egg whites. 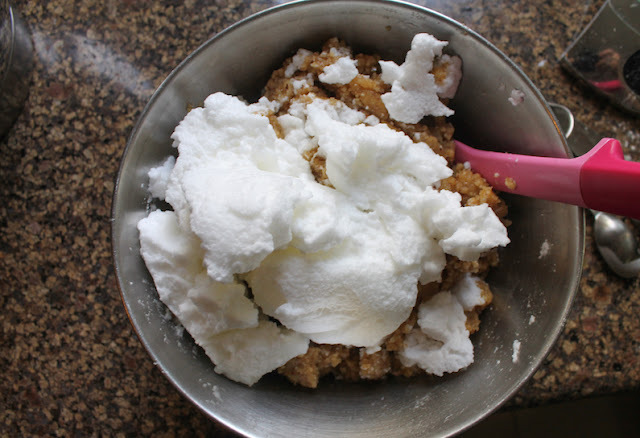 Add another 1/4 of the egg whites into the bowl and fold again. It should start getting easier. Gently does it. 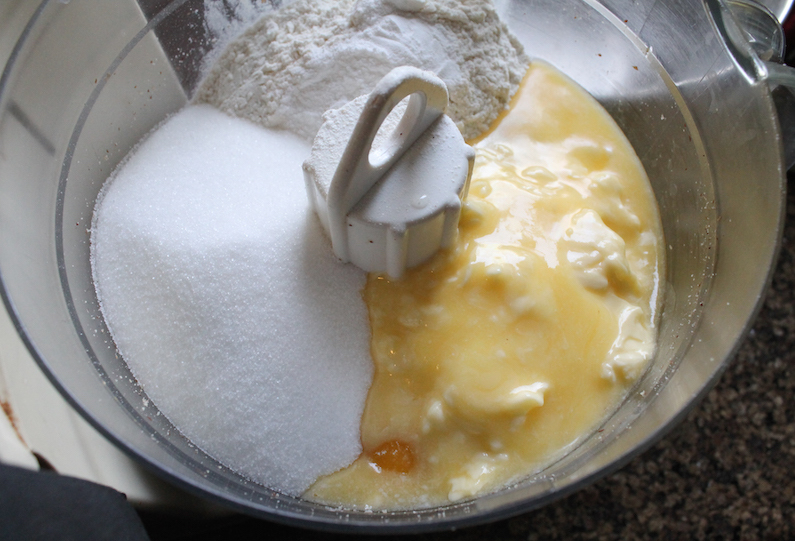 Now spoon your batter into the bowl with the balance of the egg whites and fold them together. Again, gently does it. Try to keep as much of the air in the whites as possible. 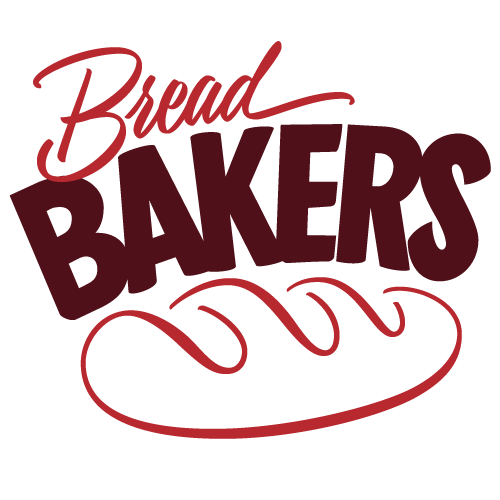 Bake in the preheated oven for 45-50 minutes or until the edges are golden brown and a wooden skewer comes out clean. 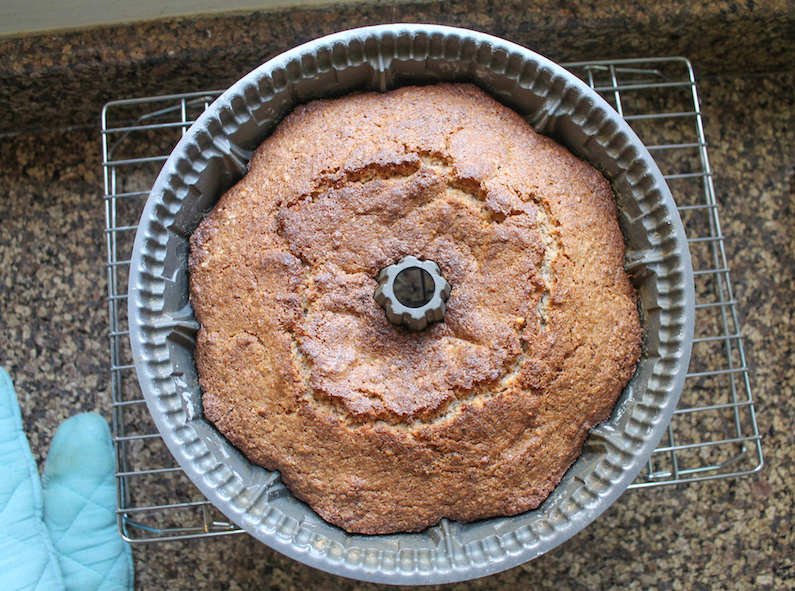 Leave to cool for 5 minutes in the pan, then carefully turn the nut cake out onto a wire rack to cool completely. If desired, brush the Bundt with hazelnut liqueur and fill the hole with some chopped hazelnuts and walnuts. You could even serve it along with little glasses of liqueur, if you’d like. This is a celebration after all! 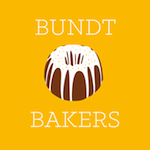 I’d like to thank all of my fellow Bundt Bakers for their support these last five years. It’s been a labor of love for sure and I cherish the friendship we share. 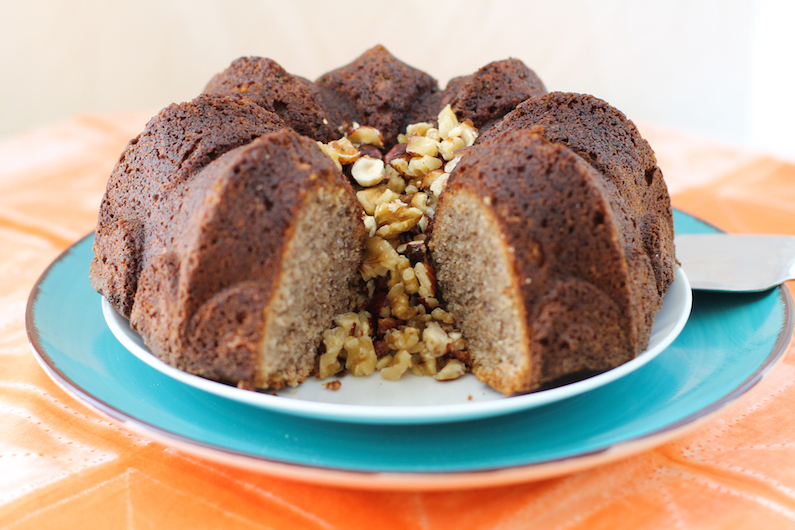 Check out all of our nutty 5-year-anniversary Bundts! 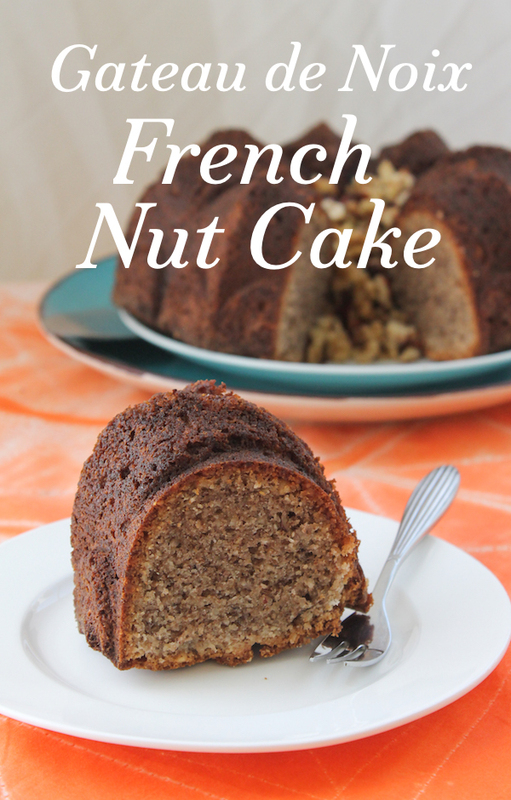 Pin this Gateau de Noix - French Nut Cake!